The SGBIA originally established security patrols in 2002 and those patrols have evolved to the current Concierge and Loss Prevention Programs. These programs make up a large percentage of the SGBIA budget expenditures and it is important to understand the value of these two programs. The Concierge Program provide visible public guardians. These have been shown in crime prevention literature to be effective in modifying problem behavior and providing a sense of comfort to people in the area. Measuring performance is always challenging with this type of program because you can’t count what doesn’t happen. There are also expectations that the Concierge’s cannot meet. They are not police and they have no authority other than regular citizens. They observe, report, establish relationships and they are a small but significant piece in the puzzle of public safety and crime prevention. In 2017, the SGBIA made a change in service providers. We were fortunate that several of our street team members elected to move to the new company so they could remain with the BIA program which we were very pleased about. Consistency of staff is critical to a program such as ours. So much of the job involves trust and relationships. Our team works hard. The shifts are long. This past year, we obtained GPS devices for our team that help us identify areas that command more attention than others and to provide them with an extra measure of safety. Our job site is not for the faint of heart. It’s hot, it’s cold… it’s wet… and it is very large. We consistently see our team logging an average of 16 km of walking each shift. In recent months, much effort has been given to reporting street maintenance issues such as of graffiti, overflowing dumpsters, abandoned garbage etc. to the City of Vancouver 311 system. In a typical month Concierge’s report over 50 matters requiring the Cities attention. Keeping track of homeless issues, open liquor use, drug use and panhandling is important to be able to access police resources. 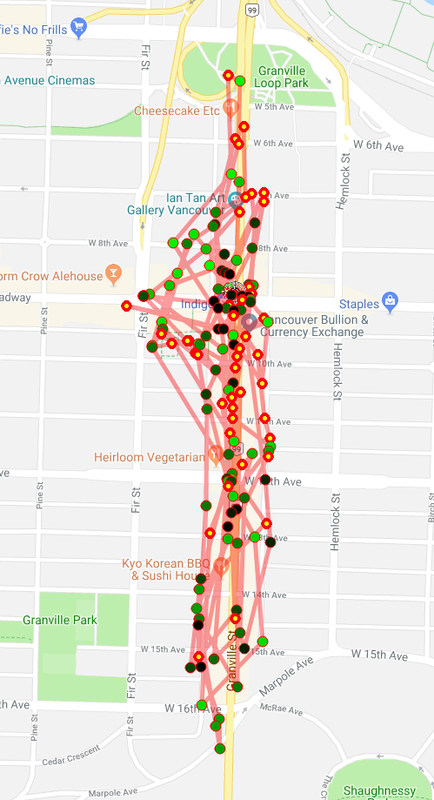 Without this data police rely on reported crimes and calls for service which only gives them a partial picture of activities in the BIA area. The Loss Prevention Program is a more recent addition to the SGBIA quiver of programs. They are not visible public guardians in that they do not wear a uniform. They are, however well known to regular shoplifters because they interrupt, arrest, and recover property dropped by shoplifters running away. When Loss prevention staff are working they are often the only resource businesses have access to that can intervene. Police resources are prioritized and shoplifting is not something they are able to respond to in a timely manner on many occasions unless there is a suspect in custody. SGBIA has benefitted greatly from the dedicated work of our longtime staff member. 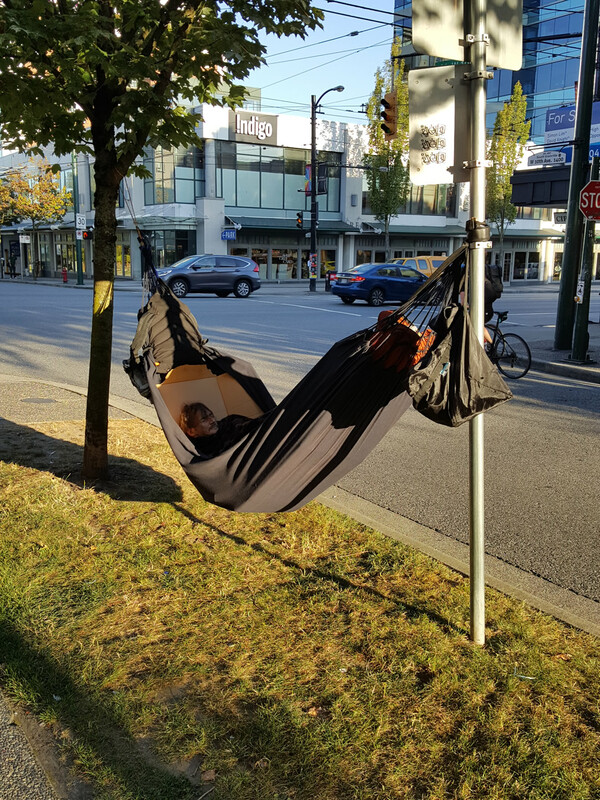 South Granville is not immune to serious issues facing our city. We see evidence of it every day whether it be discarded needles or the homeless seeking shelter in our alcoves or alleys. We also live within the legal constraints of managing those issues… as do our police and first responders. The SGBIA, along with other BIAs across the city have been very vocal with both the City and the Province about what we are experiencing at street level. There is no quick fix and it is not something we can do alone. The SGBIA continue to speak loudly for more police in our neighbourhoods, more housing for the homeless and more treatment options for those suffering from mental illness and addiction.